What a week for Iran's economy. As expected, Iran has agreed to buy 118 new aircraft from Airbus (EADSF), including 12 super jumbo A380s. The agreement also includes pilot and maintenance training and support services as Iran Air returns to international skies. 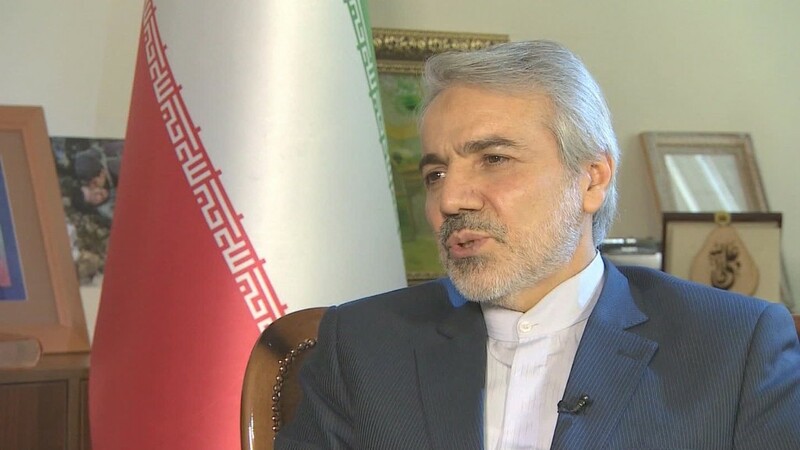 "Today's announcement is the start of re-establishing our civil aviation sector into the envy of the region, and along with partners like Airbus we'll ensure the highest world standards," said Iran Air CEO Farhad Parvaresh in a statement. French oil giant Total (TOT) said it has signed a Memorandum of Understanding to buy crude oil from Iran "in particular for the French and European refineries." Total will also study Iran's creaking oil industry "to assess potential developments." With many sanctions lifted after Iran struck a nuclear deal with the West, Iranian President Hassan Rouhani has been in Rome and Paris this week to witness the signing of billions of dollars worth of deals. Meeting with French business leaders, Rouhani said Iran is looking for investment in "energy, oil, gas, agriculture, modern technology, automobile industry, mining, telecommunications, modernization of air fleet and railways, and tourism cooperation," according to Iran's state news agency IRNA. French car maker Peugeot Citroen (PEUGF) said it will invest up to €400 million ($436 million) over the next five years in a joint venture with its old automotive partner Iran Khodro. Peugeot said it expects new models to roll off the assembly line in Tehran in the second half of 2017. The French car maker estimates Iran's appetite for new vehicles will reach 2 million a year by 2022, up from 1.6 million in 2011, before enhanced sanctions took hold. One Iranian firm that could benefit is Radiator Iran. Its president, Alireza Kamizi, told CNN its lower cost base will attract western automakers again. 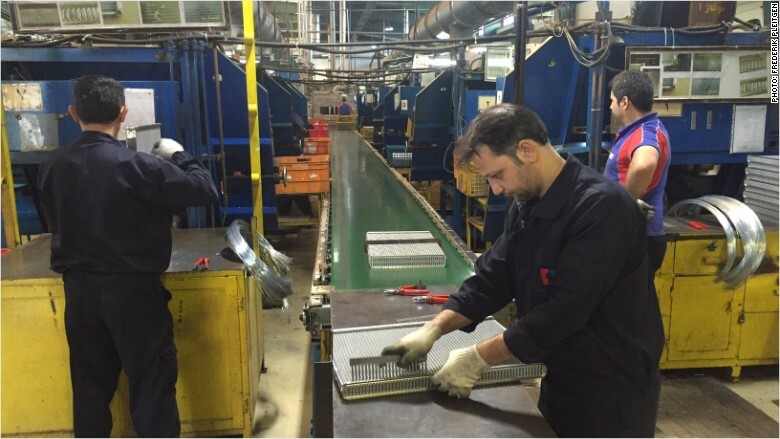 "Our goal is to compete globally and sell our products to the best car manufacturers in Europe and compete with the radiator manufacturers there," said Kamizi. President Rouhani arrived in Italy on Monday and within hours Iran was unveiling agreements. Saipem (SAPMY) signed a memorandum of understanding which covered "potential cooperation in revamping and upgrading the Pars Shiraz and Tabriz [oil] refineries." Danieli (DNIYY) said it signed agreements worth 5.7 billion euros ($6 billion) to supply heavy machinery and equipment to Iran. Italian Prime Minister Matteo Renzi will travel to Iran in the coming months "to boost economic ties," Rouhani tweeted on Tuesday. Related: Iran wants to buy 500 planes and resume flights to U.S.
British Airways has already confirmed it's looking at resuming flights to Tehran, with Air France and KLM expected to follow suit. Iran is also discussing the resumption of flights to the U.S., which were suspended in the wake of the Islamic Revolution in 1979 when the country's western-backed monarchy was overthrown.